The former Destiny's Child artist will boost The Voice line-up. 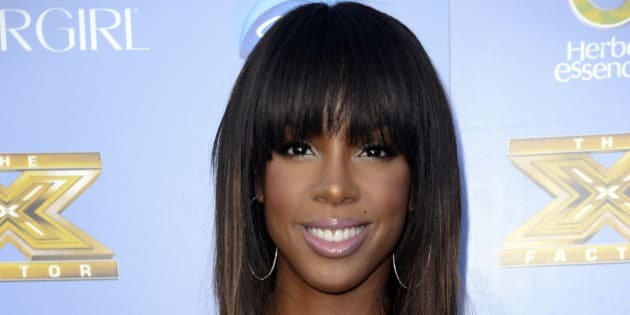 Kelly Rowland is joining The Voice down under. US pop singer Kelly Rowland is joining The Voice in 2017 in a move the Nine Network will hope boosts the show's flagging ratings. Nine said on Saturday that 35-year-old Rowland would join returning judges Delta Goodrem and Seal, who has not been seen on the show since assisting Harrison Craig take out the season two in 2013. Iconic Grammy and Brit Award-winning 80s' artist Boy George is also on the panel for next year, according to Nine. A well regarded solo artist, Rowland is perhaps still best known as one third of the late-90s' pop act Destiny's Child alongside Beyonce Knowles and Michelle Williams. "I've been a fan of The Voice for years and I'm super excited to join the family, especially in Australia. It's going to be an amazing experience and I can't wait for this season to begin," Rowland said in a statement. Rowland is the ninth different judge the show's producers have employed, including Ricky Martin, Wil.I.Am, Kylie Minogue and Jessie J. The Voice's producers will be keen to boost ratings that slumped in 2016, with the singing competition finishing with the lowest viewing figures yet for a season finale. According to Fairfax Media, just 1.15 million city viewers tuned in for the 2016 grand final of The Voice, which was won by Sydney architect Alfie Arcuri. In 2012, Rowland appeared on Australian television as a coach on Channel Ten's failed dance show Everybody Dance Now.